Lumbar laminectomy is a surgical procedure most often performed to treat leg pain related to herniated discs, spinal stenosis, and other related conditions. Stenosis occurs as people age and the ligaments of the spine thicken and harden, discs bulge, bones and joints enlarge, and bone spurs or osteophytes form. Spondylolisthesis (the slipping of one vertebra onto another) also can lead to compression. The goal of a laminectomy is to relieve pressure on the spinal cord or spinal nerve by widening the spinal canal. This is done by removing or trimming the lamina (roof) of the vertebrae to create more space for the nerves. A surgeon may perform a laminectomy with or without fusing vertebrae or removing part of a disc. Various devices (like screws or rods) may be used to enhance the ability to obtain a solid fusion and support unstable areas of the spine. The human spine extends from the skull to the pelvis. It is made up of individual bones called vertebrae. 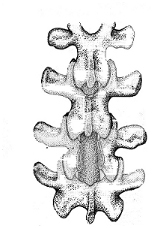 the cervical spine or neck (7 vertebrae). the thoracic spine or chest area (12 vertebrae). the lumbar spine or low back (5 vertebrae). the sacrum or pelvis area (5 fused, nonseparated vertebrae). The base of the spine, the coccyx (or tailbone), includes partially fused vertebrae and is mobile. The vertebrae are separated from one another by soft pads, called intervertebral discs, which allow the spine to bend and flex and act as shock absorbers during regular activity. 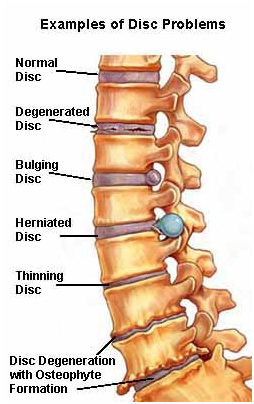 These discs also prevent the vertebrae from rubbing against each other. Each disc is made up of two parts, a soft center called the nucleus and a tough outer band called the annulus. 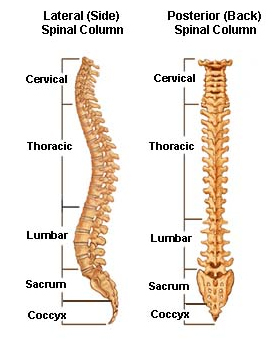 Throughout the length of the spine is a central tube, surrounded by bone and discs, which is your spinal canal. Inside the spinal canal are the spinal cord, the cauda equina, and spinal nerves. The spinal cord begins at the base of the brain and ends in the lumbar spine area in a bundle of nerves called the cauda equina. A pair of spinal nerves branch out (one to the left and one to the right) at each vertebral level. These provide sensation and movement to all parts of the body. The patient is usually positioned face down on an operating frame. A small incision (usually about 3-4 inches, though it may be longer depending on how many levels of the spine are affected) is made in the lower back. The surgeon uses a retractor to spread apart the muscles and fatty tissue of the spine and exposes the lamina. 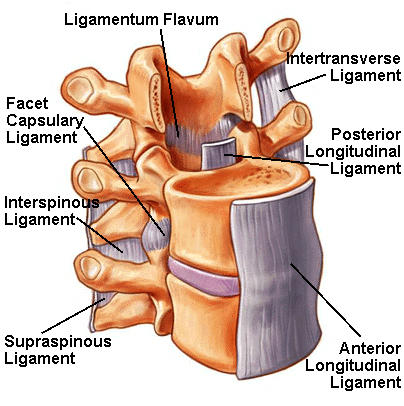 A portion of the lamina is removed to uncover the ligamentum flavum - an elastic ligament that helps connect two vertebrae. Next an opening is cut in the ligamentum flavum in order to reach the spinal canal. Once the compressed nerve can be seen, the cause of compression can be identified. Most cases of spinal compression are caused by a herniated disc. A disc fragment (this will often cause more severe symptoms). An osteophyte or bone spur (a rough protrusion of bone). The surgeon retracts the compressed nerve and the source of the compression is removed and pressure on the spinal nerve or nerve components is relieved. If necessary, the surgeon will perform a spinal fusion with instrumentation to help stabilize the spine. This occurs when a lot of bone needs to be removed and/or when multiple levels are operated on. A spinal fusion involves grafting a small piece of bone (usually taken from the patient's own pelvis) onto the spine and using spinal hardware, such as screws and rods, to support the spine and provide stability. Then the procedure is finished! The surgeon will close the incision either using absorbable sutures (stitches), which absorb on their own and do not need to be removed, or skin sutures, which will have to be removed by the surgeon after the incision has healed. An easy way to learn the difference between these terms is to remember 'ectomy" means to remove. For example, an appendectomy is the removal of the appendix. Laminotomy and laminectomy are surgical procedures involving the lamina; a thin bony layer covering the spinal canal. 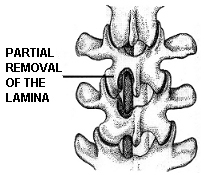 The lamina may obstruct the surgeon's view of an intervertebral disc. Laminotomy is the partial removal of the lamina. Laminectomy is the complete removal of the lamina. If an intervertebral disc has herniated the surgeon may need to remove pieces of the disc compressing nerve roots. With part or all of the lamina removed, the surgeon has a better view of the disc. These procedures also provide greater access to the spinal canal and other parts of the spinal anatomy.